Two men tried to flee from Los Banos Police, they were not successful. According to the Los Banos Police Department, on November 11th, just after 7 a.m., an officer was on patrol in the area of Mercy Springs Road and D Street when he attempted to stop a black Acura sedan for operating without a license plate. The driver, 32-year-old Frank Leonard of Los Banos accelerated and initiated a vehicle pursuit. Leonard continued driving until he reached the area of Pintail Circle, and slowed as his passenger, 37-year-old Bobby Bauer of Los Banos, ran from the vehicle. Leonard continued driving and stopped a short distance away where officers took him into custody and found handgun ammunition in his car. Officers then turned their attention to finding the passenger that bailed out earlier. It didn't take long. Officers located Bauer hiding in a backyard, soaking wet after falling into a pool. In the pool, Officers located a handgun and a search of the area yielded Bauer's discarded clothing which contained suspected methamphetamine. 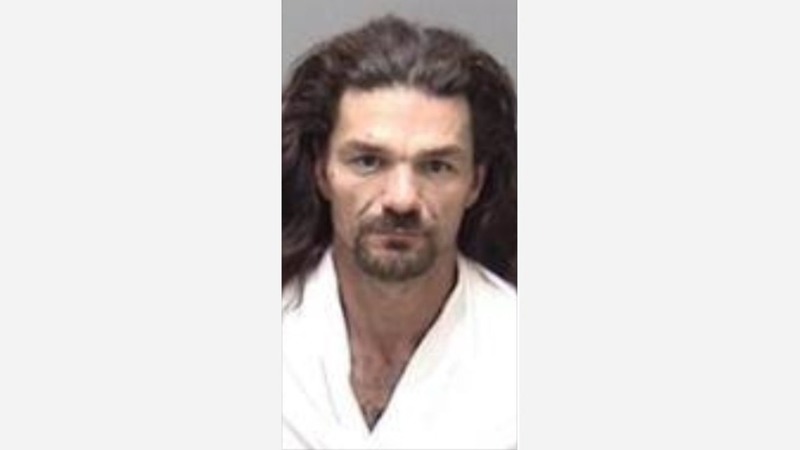 Leonard was booked into the Los Banos Police Department Jail charged with failure to yield to an emergency vehicle with disregard for public safety and felon in possession of ammunition. Bauer was booked into the Los Banos Police Department Jail charged with felon in possession of a firearm, resisting arrest, possession of a controlled substance, and felon in possession of ammunition.